Finally, the project loads into RStudio, displaying its name in the Projects toolbar. Is this the only template to use? Of course not. However, it is a good starting. README.md The intro file is used to provide project orientation. The file defines project objectives and is intended to introduce project data, source code and configurations for repeatable research. The *.md file format is that of a basic text or markdown file. When saved to GitHub, it will be used to create an HTML project wiki. TODO.txt A note file on a project’s development or implementation status with a list of bugs and future improvement needs. .Rprofile A hidden file in every project structure with instructions that are run at project start-up. The start-up file sources project configuration scripts and attaches data as needed. cache The cache is used to store data output. config Configuration settings are stored in one or more configuration scripts. The scripts are customized for each project. data The data directory stores all data inputs in raw format. docs Here you can store any source or reference material about the project. image Used to store image output, including Rplots, image files or gif animations. report Used to store output tables and reports. R is capable of supporting a broad range of outputs including Word, Powerpoint, pdf, LaTeX and HTML. src Stores all project source code for analysis and repeatable research. The filename format #_name helps code sequencing and parallel processing. Third, double-click on the *.Rproj file. 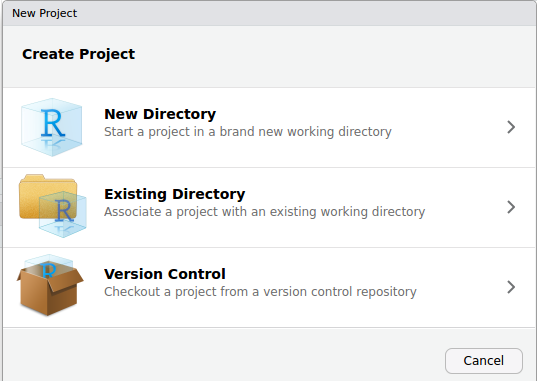 The project directory becomes the present working directory. Files open in the editor. 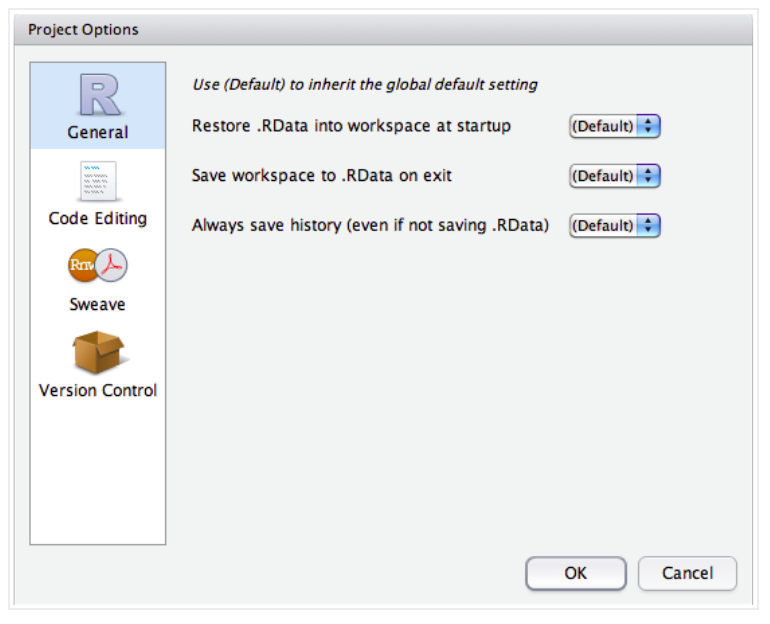 Always save history: Sets if the .Rhistory file is always saved from your session.